Although Schoenberg says a great deal about [Brahms’s] phrasing, he comments little on rhythm, on the pattern of relationships against a pulse. Of course he knew it was important- ‘When Brahms demanded that one hand of the pianist play twos or fours while the other played threes, people disliked this and said it made them seasick. But this was probably the start of the polyrhythmic structure of many contemporary scores.’ –yet it interested him less, so he said less about it. Though recognized by Schoenberg as important, Brahms’s manipulation of musical time has historically received significantly less investigation in the peer-reviewed literature, warranting further exploration into rhythm and meter in this corner of period/genre envelope. In cases where the topic of these manipulations is addressed, such as in the writings of Frisch and Epstein, the symphonies are frequently used as examples of the process being discussed, while examples from the pre-symphonic works are often neglected. These authors detail an array of novel devices employed by Brahms, and Epstein goes so far as to call the first symphony, “one of the most impressive temporal constructs in the Brahms repertoire.” However, beyond one example from Op. 56, neither his nor Frisch’s essay set out to model a through-line across Brahms’ earlier output in order to demonstrate how he arrived at such a temporal construct via significant prior orchestral compositions. The pre-symphonic works (orchestral works without choir preceding Symphony No. 1, Op. 68) are four in number: the Piano Concerto in D minor, Op. 56, Variations on a Theme by Joseph Haydn, Op. 56a, and the two Serenades for orchestra, Op. 11 and Op. 16 and are discussed alongside the First Symphony. All were composed between 1854 and 1873 and represent a similarly high degree of musical craftsmanship, emotional sincerity, and depth that permeates the bulk of his music. According to Niemann, “The two essays in the form of orchestral serenades were followed by an interval of fourteen years by the Variations on a Theme by Joseph Haydn, Op. 56, for orchestra, which are, as it were, the direct prelude to his symphonic works.” The significance of this statement, although it excludes the concerto, is that a direct line may be traced in this period in Brahms’s development as a composerand as a person. Relative to Brahms’ career, the story of these particular works begins in medias res: in October of 1853, the ailing Robert Schumann paved the way for his young protégé, writing a prophetic editorial in the Leipzig Neue Zeitschrift für Musik, entitled “New Paths.” The article heaped praise upon this musical Minerva, a cultural hero springing, “fully armed from the head of Jove.” This article admonishes the young man to “point his magic wand” in the direction of chorus and orchestra, “where the might of mass… lends him its power.” It is worth remembering that Brahms (indeed, most living composers, especially Germans) still lived under the mighty shadow of Beethoven and his awe-inspiring 9thSymphony, often causing them to avoid comparison by avoiding the form until later in life. The above prompt from Brahms’ mentor, while doing much initial good for Brahms, also aggravated the self-conscious composer’s well-documented perfectionist tendencies as he labored the rest of his life to live up to that prophetic pronouncement. 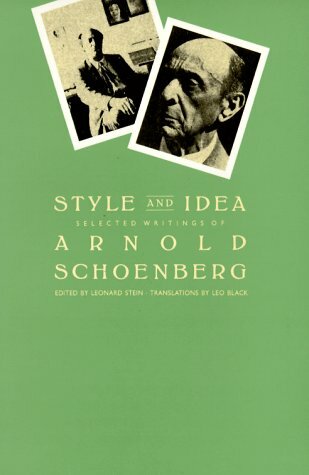 He is known to have said of any given composition that, “Whether it is beautiful also, is an entirely different matter, but perfect it mustbe.” It also built up monumental expectations in his hypercritical audience. The next four years, 1953-57, were clouded greatly by the mental and physical deterioration of his mentor, Schumann, and he eventually left Düsseldorf for Detmold. This is the place where Brahms bore the first fruits of his intense labor. With exceptionally light duties at the court, the composer was left undisturbed to his own studies and projects, and had much time for wandering through the countryside. Niemann confirms that, “the works he wrote or brought to maturity at Detmold bear in their very form the traces of tranquil comfort and sequestered self-communion.” It was in Detmold that he completed the robust and agitated Piano Concerto No. 1 in D Minor, Op. 15 which he had begun in Düsseldorf. He transformed the work from a sketch of a symphony into a two-piano sonata (this fact a further reminder of the multi-decade struggle Brahms endured in an effort to produce a finished symphony), and finally into the work as it is known today. The pastoral Serenade No. 1 in D Major, Op. 11 was both conceived and completed during his time there along with its companion, Serenade No. 2 in A Major, Op. 16. These works also underwent many fundamental changes in orchestration and structure including an additional abortive attempt at a first symphony. Brahms’ first completed work scored for orchestra without chorus, its three movements last nearly fifty minutes. From the Piano Concerto’s opening timpani volley, the trained listener detects a bold, post-Beethovenian weightiness in the texture. Its angular introduction in the strings suggests a sober mode of expression, rather than a flashy display of technical prowess common to many contemporary concert. Robert Schumann had written to his wife Clara about what would eventually become his Piano Concerto in A minor, op. 54: “I cannot compose a concerto for virtuosos, but must light on something different.” Brahms’s creation is unique but the reality of Brahms’s aesthetic was deeply tied into the Schumanns’ opinions of his work; effects such as the spirit of Brahms’ concerto are easy to recognize. Featured in the musical substance of the opening movement, metric suggestion is an important technique to consider. Brahms frequently notates musical passages that, while remaining native to the time signature of the movement or piece, contain an element-be it articulation, melodic contour, or rhythmic content-that suggests a secondary metric orientation. This process of metric suggestion challenges the integrity of the written meter without completely subverting it or establishing parity with it. Without addressing the left hand, one may observe a state of notational conflict. The rhythm is clearly notated within the conventions of the quarter note-based meter. When listening to the thrice repeated figure, the listener may naturally begin to perceive the figure within a compound quadruple (twelve-eight) framework with the tied eighth-note pairs holding the second and fourth of four strong beats. Here, the lowest common denominator is the eighth note. On the other hand, these competing views have to fight with a third party. The left hand is making a strong case for a simple triple (three-two) framework on the same grounds as the previous example. In fact, the chromatic motion of the odd-numbered quarter notes gives the left-hand passage even greater suggestive strength than the bassoons have in Fig. 1. Brahms also uses polyrhythms quite frequently, pitting triplet rhythm against a duple rhythm. This is different than metric suggestion because it deals with directly contradictory rhythms at the level of the pulse or subdivision. However, as in Fig 3., this frequently goes unnoticed when the piano is given to fast, tripletized figurations underneath the duplet-subdivided melody. Therefore, this metric/rhythmic structure is deliberately weak due to its orchestration, tempo, and style. Herein lies the unique charm of Brahms; he is able to simultaneously project melodic clarity, simplicity, and brilliant technical display, all while arriving at novel, artistically elegant solutions. The following example offers more of the same effect, but with whole sections of strings. Here, Brahms harnesses subtleties of articulation and orchestration to create a polyrhythmic passage without a true sense of rhythmic discord. In this, the final movement of his Serenade No. 1, Brahms does not relegate the viola part to mere accompaniment; he instead establishes the obbligato line providing for further use as the stabilizing force over which the woodwinds develop a fragment of the original melody. This would not create any rhythmic tension, except that he added duplet-based pizzicato upbeats in the lower strings (not shown). Fig. 5 is an example of a slightly more unconcealed use of polyrhythm. See measures 167 and 205-208 from the same passage for more complex examples that utilize metric suggestion in tandem with polyrhythms. The composer goes so far as to manipulate triplets into suggesting a duplet framework and duplets into suggesting triplets. This can only be termed as metric ambiguity, a simultaneous use of various techniques in multiple layers to a point where it ceases to be clear where, the strong beats (conventional or implied) really are. The highest element of virtuosity in this concerto is not in the performance demands on the soloist but in the compositional structure and subtlety. These methods of metric and rhythmic manipulation are abundant in nearly every orchestral work the composer penned. Certainly, the orchestra is a perfect place for implementation of the most complex uses of any of these devices with the possibility of many voices functioning independently. However, Brahms is not always given to merely using complex textures for their own sake but only as a means to another structural end. The first and third movements of the C minor symphony make use of some more subtle metric devices, a product of the development of the composer’s abilities over the years discussed. The first movement often utilizes an important device that might best be termed a supermetric construct, repeatedly conjoining two measures into functioning nearly as one reliably indivisible musical unit. This technique is demonstrated in Fig. 6. To back up into Niemann’s aforementioned “prelude,” one must ask where precisely where this concept found its genesis. Measures 105-111 of the third movement of Brahms’s D Major Serenade may be a plausible antecedent in terms of texture and timbre, but no real temporal ambiguity exists here. A fitting example of such a deregulated meter would be the fifth of the Variationon a Theme by Haydn, Op.56a. While the movement remains rhythmically vivacious, that is to say rigorous and unbending in matters of underlying pulse (constant eighth notes), the odd syncopations and melodic contours seem to jar the larger beats and measures. This is due to the use of syncopated sforzandi, unusual offbeat entrances, and to the melodic contour. Regardless of the clarity of notation, the listener can not help but feel metrically unstable and unfocused. The Variations on a Theme by Haydn, op. 56a are both the first set of independent variations for orchestra in western music and the last orchestral composition written before Brahms produced his first symphony. One extremely important feature of these variations is the frequent use of rhythmic inversion in which the meter, again, remains intact and the music is inverted over a rhythmic partial rather than over an entire beat. A frequently used term for the effect created is metric displacement (although the two need not function in tandem.) A striking use may be found upon returning to the fifth variation, at the fifth measure of letter G. The metric displacement is seen in a very simplistic use of staggered articulations asymmetric to the beat. The combination of rhythmic suggestion (of a simple triple framework) with rhythmic inversion of the strings creates a chaotic effect. Serenade No. 2 in A Major, Op. 16 is unique in its instrumentation in that it lacks violins. The passage in question, shown in Fig. 10, is notated in common time but frequently uses quarter-note-based triplets to effect what is, in all practicality, a half-note triplet. Because of the notated meter, this is not a metric suggestion where the parts of the beat are basic subdivisions in the meter; this actually a true hemiola. Against that is a parallel moving line displaced by a tripletized quarter note. 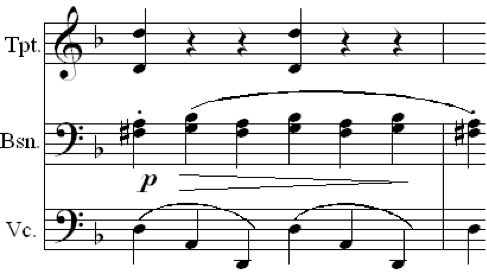 In view of the fifth Haydn variation, the present example is a scaled-back iteration of the same technique of combining suggestive elements with displacement. In addition, the alternation of these high and low voices is actually an ancient compositional technique with which Brahms, the early music scholar, would have been quite familiar. The serenade excerpt, as well as the fifth Haydn Variation is, in essence, a glorified example of a hocket. 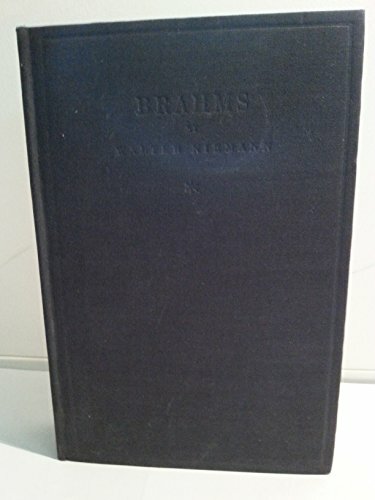 While by no means exhaustive, this discourse presents a catalog of some of the important compositional techniques used by Brahms in his earlier symphonic works, paving the way for further study. A broad understanding of these topical rhythmic features will serve to help the musician identify them and then place the features into a broader architectural framework, whether through listening, analysis, or performance. The techniques mentioned are never used to the exclusion of harmonic or melodic development and should not be taken out of context to draw any type of independent conclusion about the compositional processes undertaken. In an even broader sense, the techniques employed can even point to Brahms’ compositional philosophy and provide additional nuance and shading to a growing understanding of the underlying compositional processes at work throughout the music of Johannes Brahms. Bozarth, George S., and Walter Frisch. "Brahms, Johannes." Grove Music Online. Oxford Music Online. n.d. http://www.oxfordmusiconline.com/subscriber/article/grove/music/51879 (accessed November 27, 2011). Brahms, Johannes. Piano Concerto No. 1 in D Minor, Op. 15. New York. Brahms, Johannes. Serenade No. 1 in D Major, Op. 11. New York. Brahms, Johannes. Serenade No. 2 in A Major, Op. 16. New York. Brahms, Johannes. Symphony No. 1 in C Minor, Op. 68. New York. Brahms, Johannes. Variations on a Theme of Haydn: for Orchestra, Op. 56A and for Two Pianos, Op. 56B: the revised scores of the Standard Editions, the Sketches, Textual Criticism and Notes, Historical Background, Analytical Essays, Views and Comments. Edited by Donald McCorkle. New York: W. W. Norton & Co., 1976. Epstein, David. "Brahms and the Mechanisms of Motion: The Composition of Performance." In Brahms Studies: Analytical and Historical Perspectives, edited by George S. Bozarth, 191-229. Oxford: Clarendon Press, 1999. Evans, Edwin. Handbook to the Chamber & Orchestral Music of Johannes Brahms. Vol. 1. London: William Reeves, 1933-5. Frisch, Walter. "The Shifting Bar Line: Metrical Displacement in Brahms." In Brahms Studies: Analytical and Historical Perspectives, edited by George S. Bozarth, 139-164. Oxford: Clarendon Press, 1990. Musgrave, Michael. "Schoenberg's Brahms." 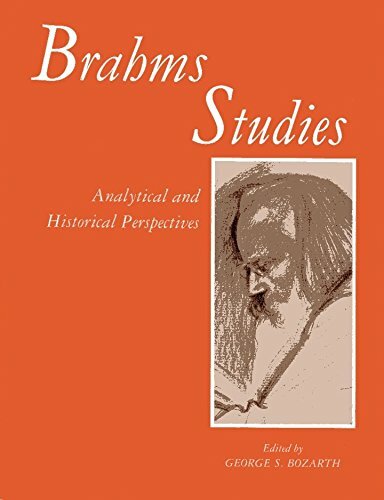 In Brahms Studies: Analytical and Historical Perspectives, 123-138. Oxford: Clarendion Press, 1990. Niemann, Walter. Brahms. Berlin: Schuster & Loeffler, 1920. Schumann, Robert. "Neue Bahnen." Neue Zeitschrift für Musik, October 28, 1853. Investigate a selection of books from this essay. George S. Bozarth. Johannes Brahms, [Grove Music Onlineed. L. Macy] (Accessed 27 November 2011); available from http://proxy.tamu-commerce.edu:2089/shared/views/article.html?section= music.51879#music.51879; Internet. Michael Musgrave, “Schoenberg’s Brahms,” in Brahms Studies: Analytical and Historical Perspectives, ed. George S. Bozarth (Oxford: Clarendon Press, 1990), 123-38. David Epstein, “Brahms and the Mechanisms of Motion: The Composition of Performance,” in Brahms Studies: Analytical and Historical Perspectives, ed. George S. Bozarth (Oxford: Clarendon Press, 1990), 191-229. Walter Niemann, Brahms, trans. Catherine Alison Phillips (New York: Cooper Square Publishers, Inc., 1969), 208. 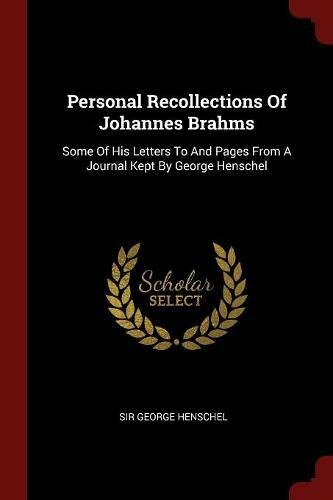 George Henschel, Personal Recollections of Johannes Brahms, conversation with Johannes Brahms 13 July 1876 (Boston, 1907), 39 in Johannes Brahms, Variations on a Theme of Haydn: for Orchestra, Op. 56A and for Two Pianos, Op. 56B: the revised scores of the Standard Editions, the Sketches, Textual Criticism and Notes, Historical Background, Analytical Essays, Views and Comments,ed. Donald M. McCorkle (New York: W. W. Norton & Company, Inc., 1976), 216. Robert Schumann and Johannes Brahms, Piano Concerto in A minor, Op. 54 and Piano Concerto No. 1 in D minor, Op. 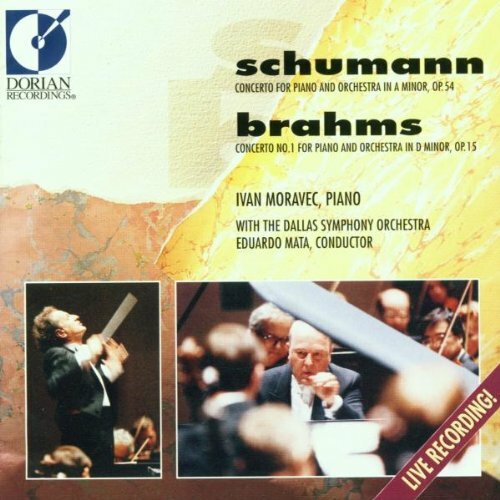 15, Ivan Moravec and Dallas Symphony Orchestra, Dorian Recordings 1993 DOR-90172, Album notes, J. Knighten Smit.